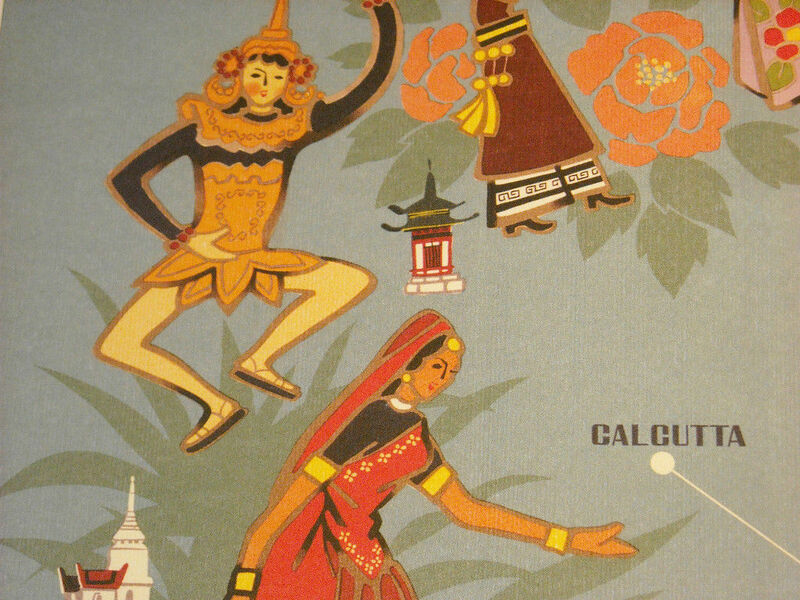 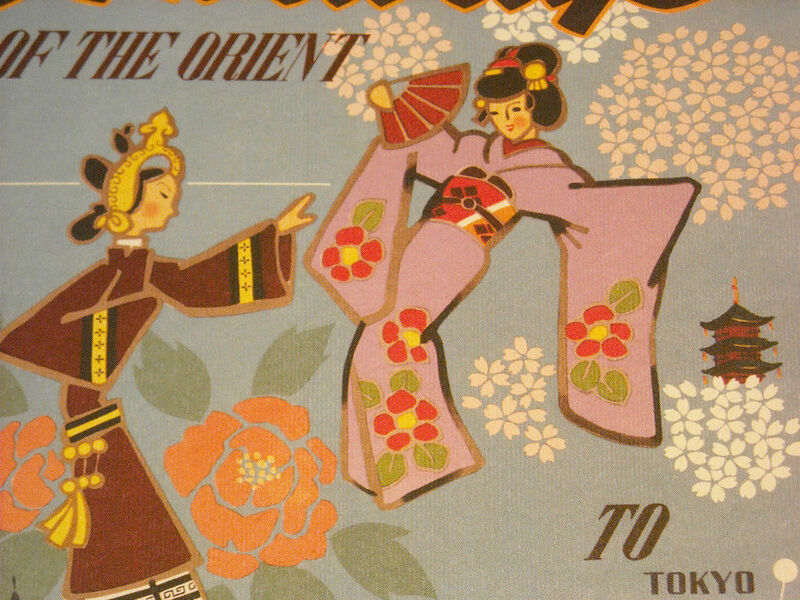 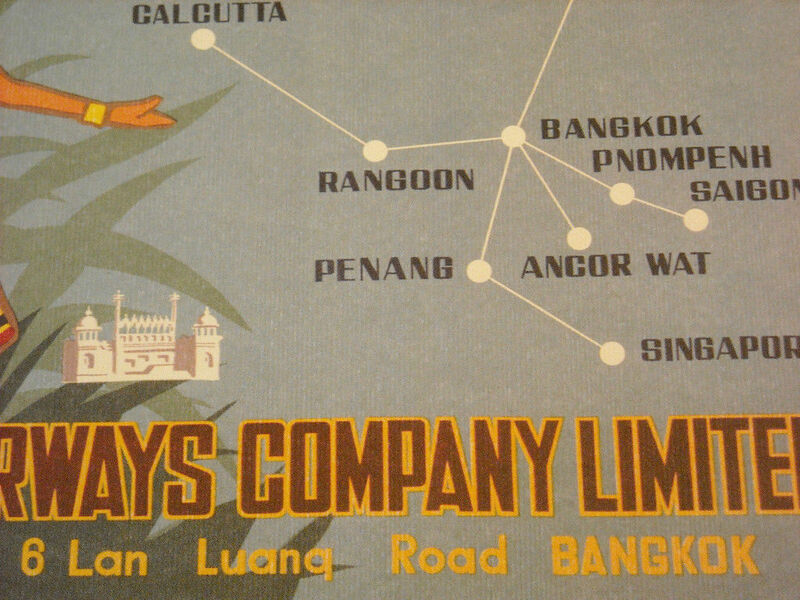 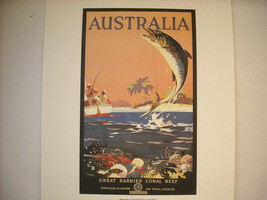 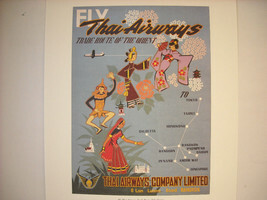 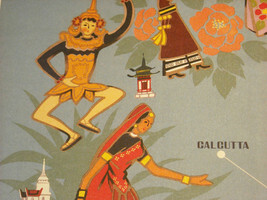 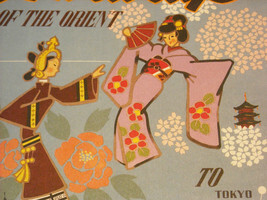 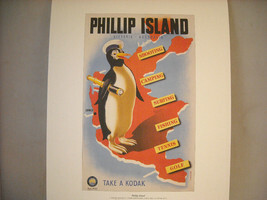 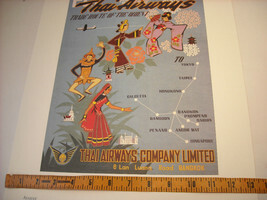 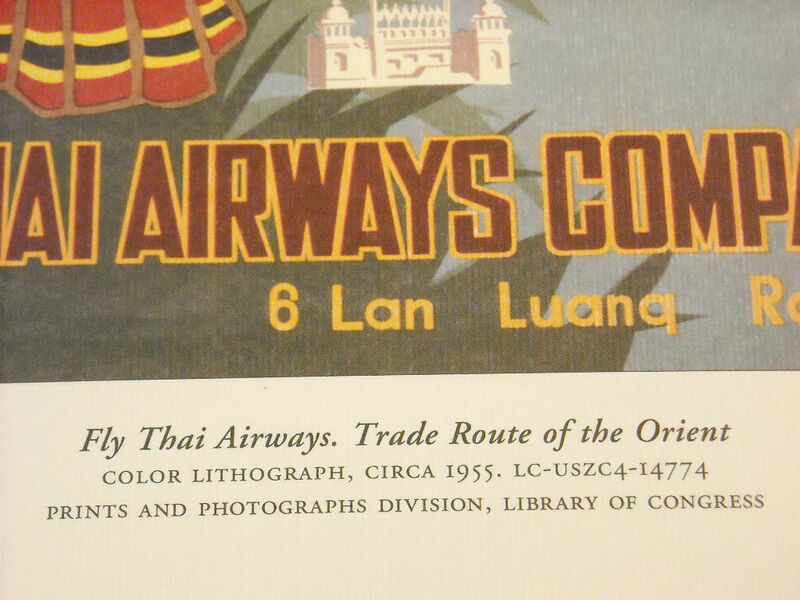 This is a listing for a reproduction print of a vintage travel ad for "Thai Airways". 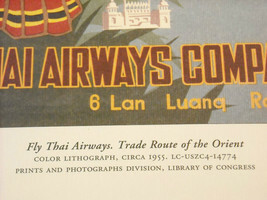 It was originally printed in 1955. 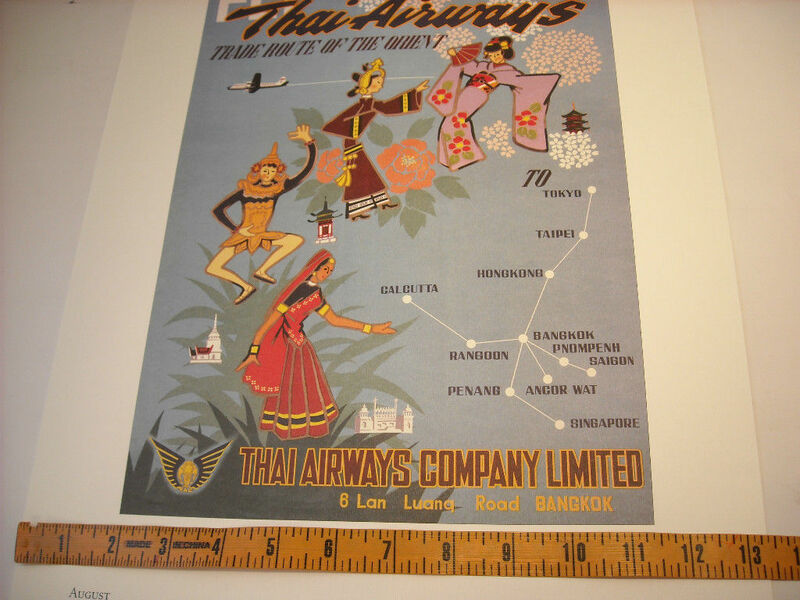 It is a color print on nice textured paper. 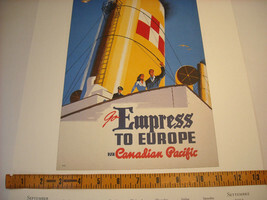 The page size measures 13 5/8" x 18 3/4" and the image measures 9 1.2" x 13." 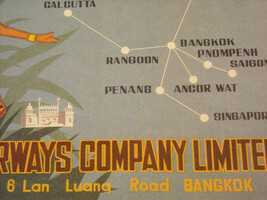 It shows connections through Southeast Asia.